Paints: Black, White, Grey & whatever colour you want your camper to be. 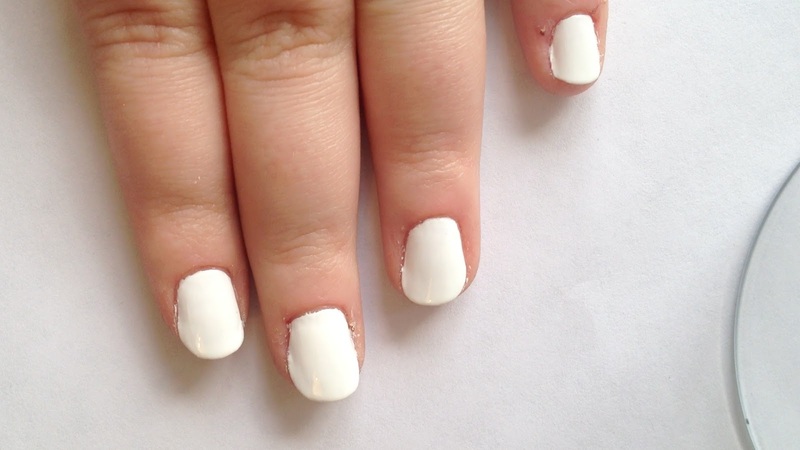 Then paint all of your nails white. 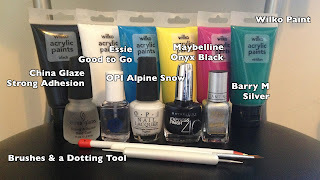 Using grey, paint 2 squares to be the windows. 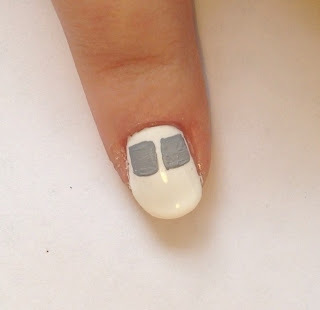 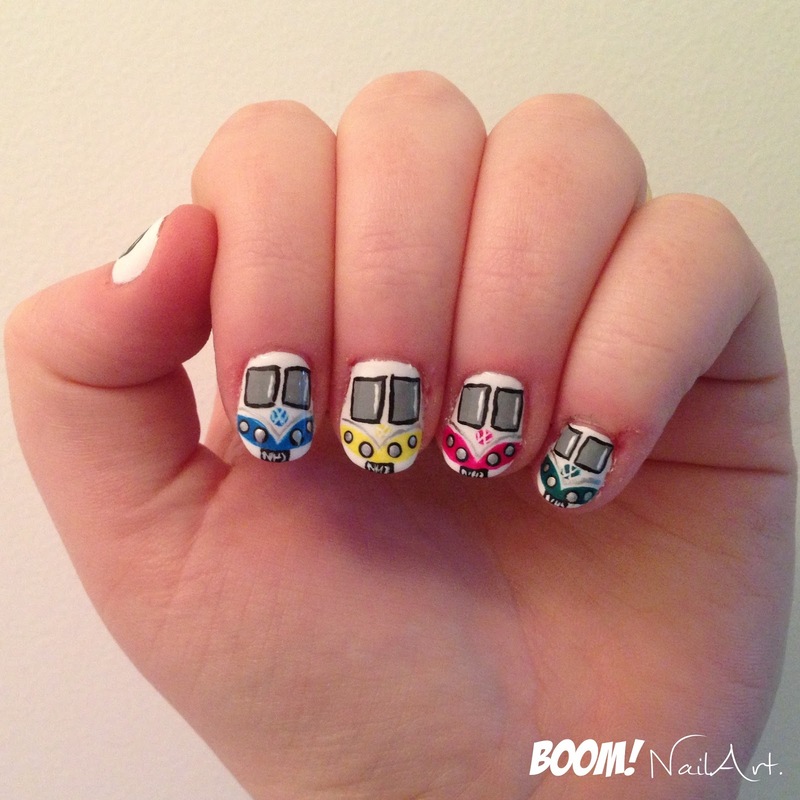 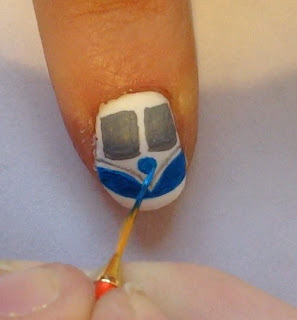 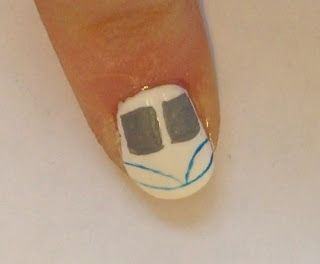 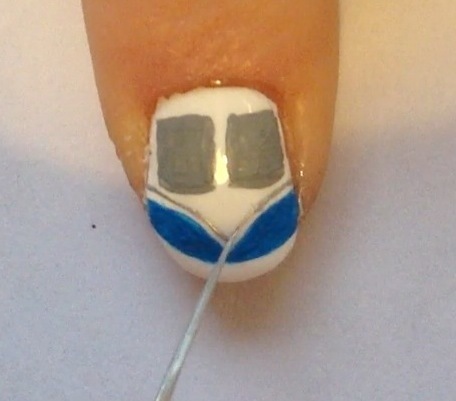 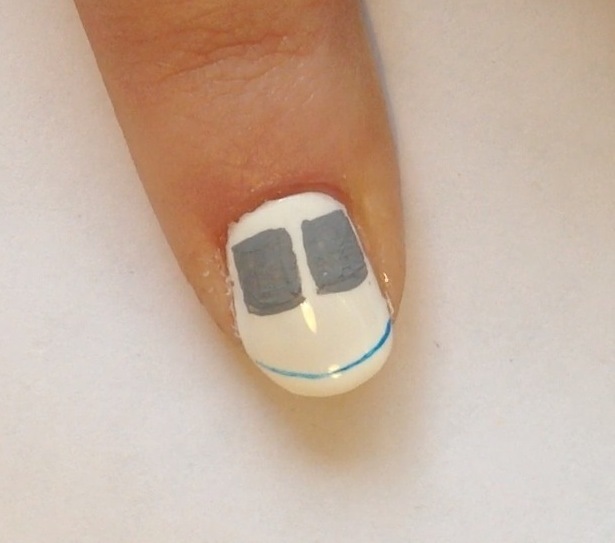 Using whatever colour you want to be the colour of your camper, paint a thin curved line across your nail near the tip (but leaving a small section of white at the tip). Then paint 2 more curved lines, coming from the middle of each side of the nail and meeting in the centre of the first curved line. Then fill in these shapes. 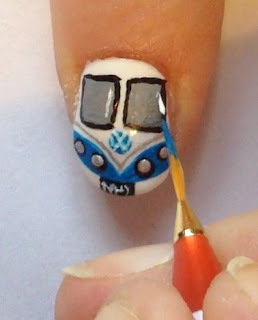 Using a striper brush and silver polish, paint a thin curved line, matching the shape of the previous lines (but leaving a small section of white between this line and the colour of you camper). 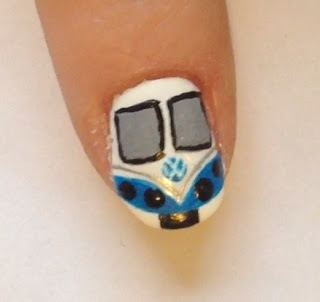 Paint a small circle in the centre of your camper (you can also use a dotting tool for this). Then add 4 small black dots inside the blue (or whatever colour you chose). Using a very thin detail brush and white paint, create a small VW logo inside the circle. 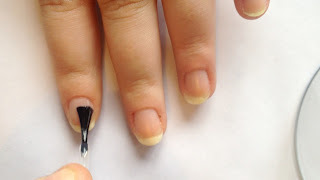 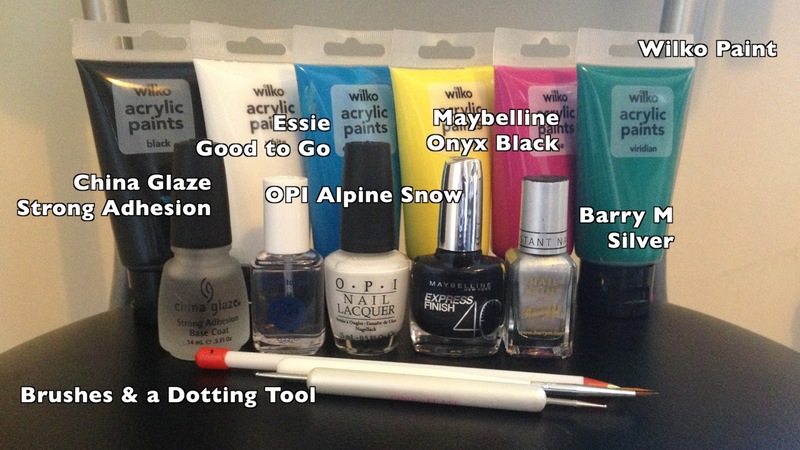 Paint a black box in the middle of the white at the tip of the nail. Outline both of the windows with black paint. 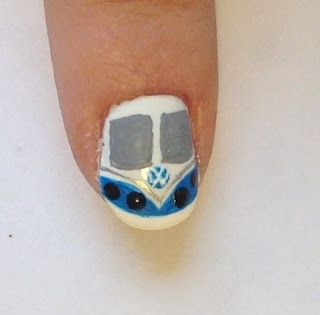 Add smaller silver dots inside the black dots to create headlights on the camper. Using a very thin detail brush write on the license plate (the black box), this will be so small that you can hardly see it so it doesn't really what you write). 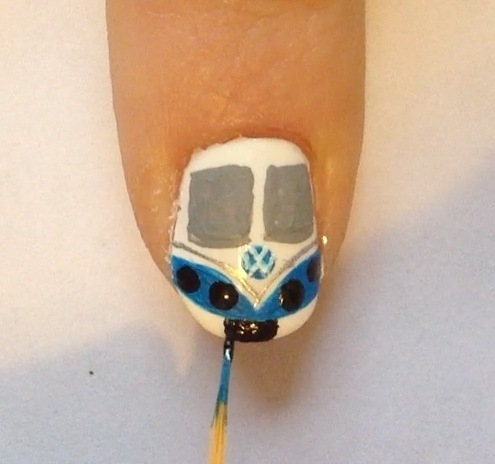 Paint a thin white line down the side of each of the windows, shiny bits!! 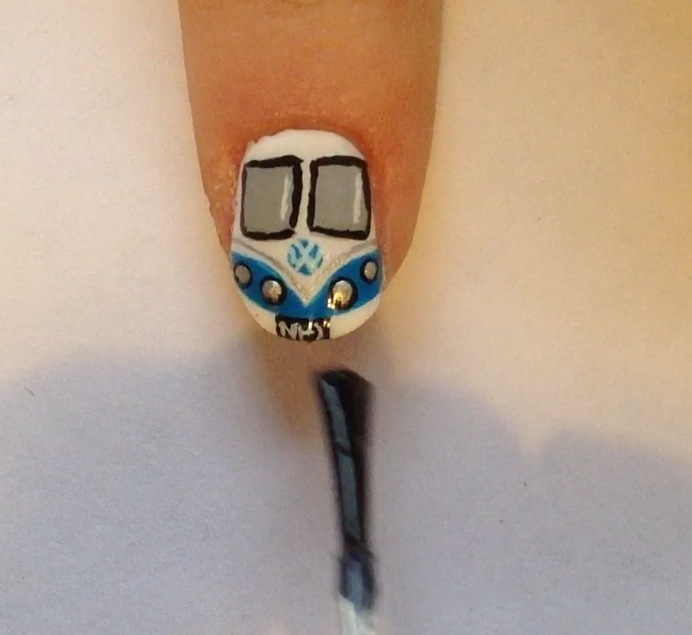 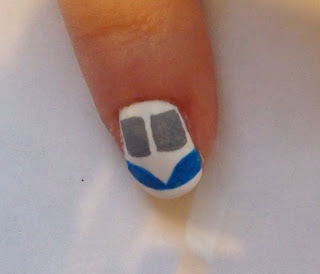 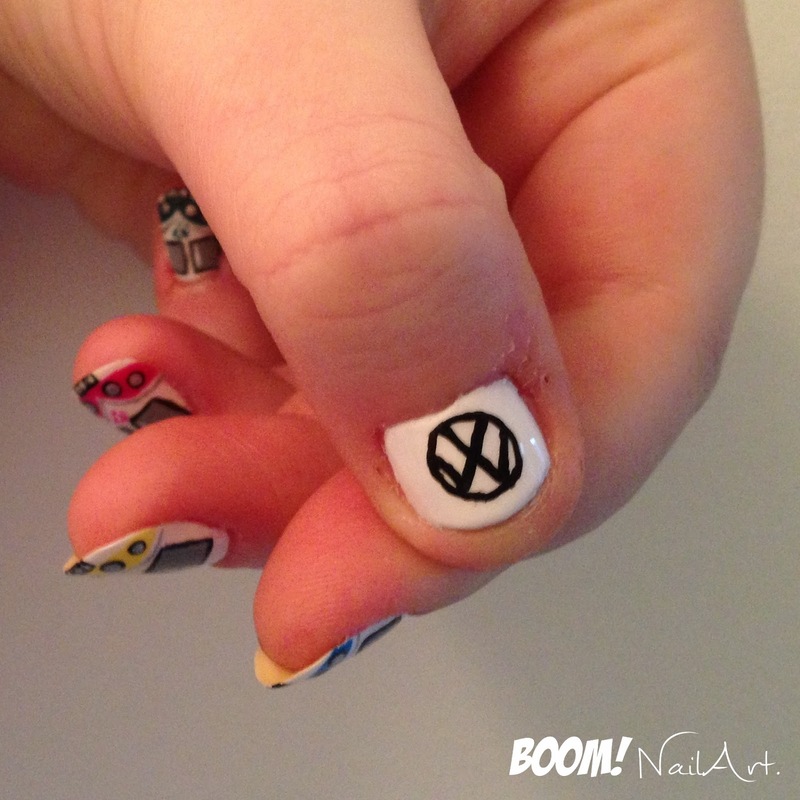 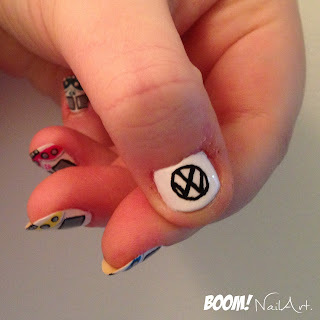 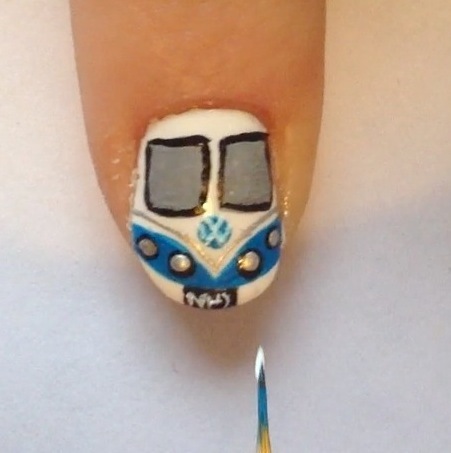 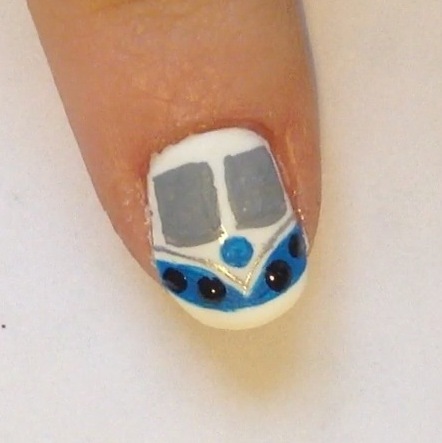 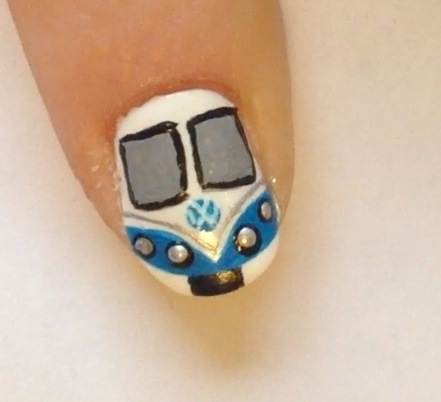 On my thumb (as it is very short) I decided not to paint a camper but to paint a black VW logo in the centre of the nail, with a white background.